Everyone is talking about location-based marketing and location-based advertising. By definition, location-based advertising is a type of advertising that integrates mobile advertising with location-based services. Location-based advertising allows marketers to locate consumers through GPS and deliver marketing messages to their mobile devices. The best location-based advertising will also use the consumers location to make the ad more relevant by providing content that is location aware such as offers nearby, events, etc. 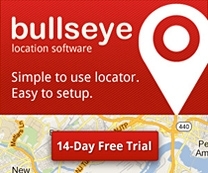 We’ve spent the last part of the summer and into fall working on a bunch of great new updates to Bullseye’s Local Landing Pages. These updates will really help your locations do a better job promoting themselves and capturing SEO traffic.